Samsung starts testing Android Pie update for Galaxy A series phones! Samsung has now started testing Android Pie for one of its Galaxy A series smartphones. 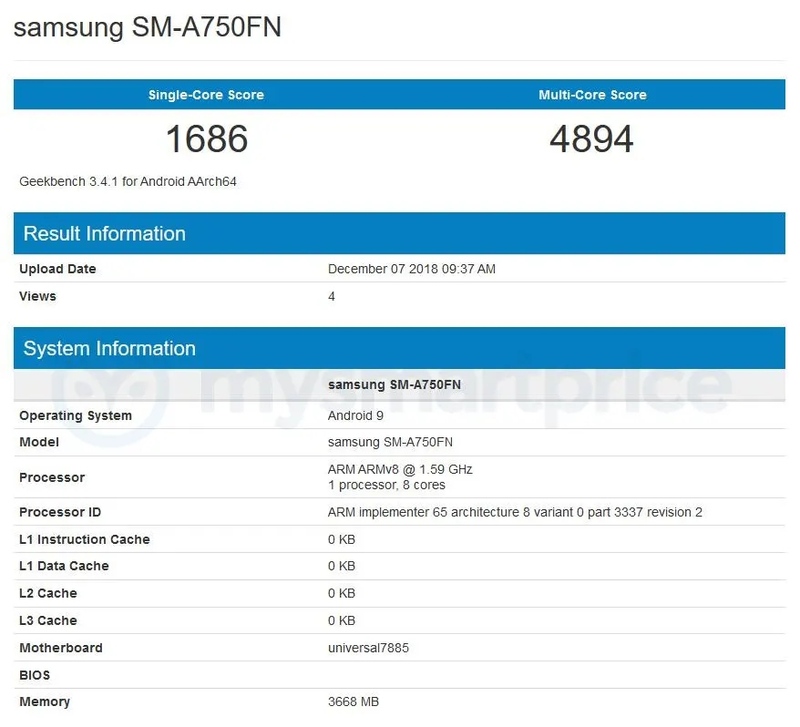 A Galaxy A7 (2018) running Android 9 has been spotted on Geekbench, and with a little bit of digging, we have learned that the test firmware carries software version A750FNXXU1BRL1. Samsung had started testing Pie for its flagship devices earlier than usual, so it seems the company is moving quickly for cheaper devices as well. This isn’t the first signal that the Korean giant is taking updates more seriously. Samsung has been releasing regular security updates for many devices in recent months, and while not every market has seen the same frequency of updates, the overall pace has quickened considerably. And that may extend to the Android Pie update as well. In fact, the Android Pie beta on the Galaxy S9 and Galaxy Note 9 is already quite stable despite being in its infancy, so it certainly seems possible that the company has cracked the code to faster software development (or somehow managed to make Project Treble work in their favor). Of course, this is just wishful thinking until Samsung officially gives us reason for celebrating. 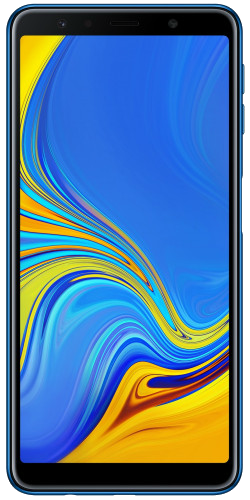 Testing for other existing Galaxy A smartphones, like the Galaxy A6, Galaxy A8 (2018), or Galaxy A9 (2018), hasn’t begun yet, so it may just be the Galaxy A7 (2018) that is getting an early start. With the Galaxy S9 and Note 9 Android Pie update slated for January, owners of other Galaxy smartphones still have to wait a couple of months before they get to enjoy the beautiful new Samsung One UI. S8 is already being tested with Android 9.0…. Hello Andrei603, where did you find this information about S8 test. Please share article or web page thank you. Here you go. Testing is early for all devices this time. Sometimes updates come out without a new security patch but fix some minor issues, which Samsung doesn’t mention in the changelog. I thought they will run public beta testes when I read the title.